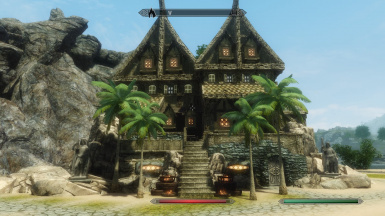 Ever wanted to live on an isolated island filled with mystery and beauty within Enderal? 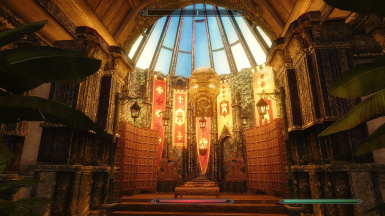 with uniquely handcrafted rooms & delicate details?... 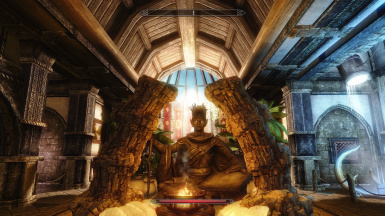 Looking for something different than your average Skyrim home?if so "Welcome Home"
Hello Everyone i have been extremely busy the past few weeks and i apologies for my absence. I will be working on this file asap once things clear up for me, it shouldn't be too much longer, ill be progressively working on updates also. *Bug Fixes: Entry, Wing A & B Roof & Door Fixes. 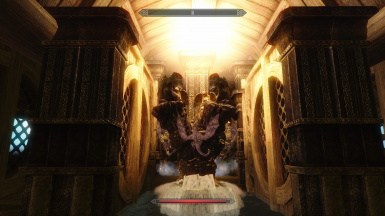 *NOTE*: There is a bug in the main hallway of the interior i'm trying to work out where the statue head is it clips through but if you walk through it you'll be in the next room, i am aware and trying to fix it. *Added Linked storage chests linked to all cities. 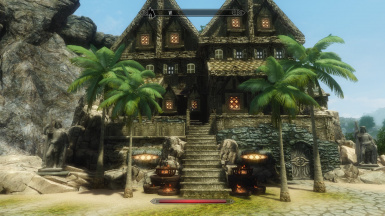 Please make sure you're not inside the Island Abode or too close to the exterior architecture before updating! Otherwise you may clip through/bugs or bad things may happen!. 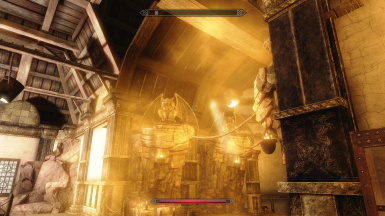 *Room Features including environmental additions such as stonework & statues. Included. -Working on improving Treasury & Exterior. 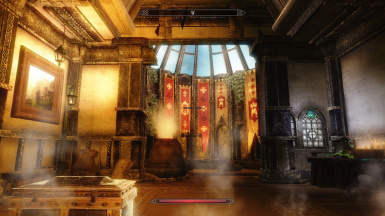 *Adding interior rooms such as kitchen, categorized rooms for alchemy, enchanting, smithing ect. G'day Ladies and gentlemen! 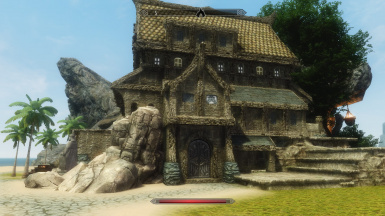 i have spent the last 12 hours this weekend working on a housing mod for Enderal / 40 total. 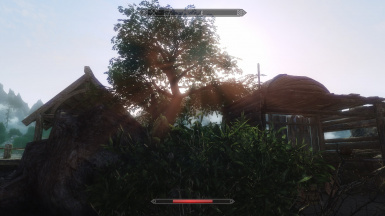 I know it's only just recently come out and i have put over 45 hours into the mod already! 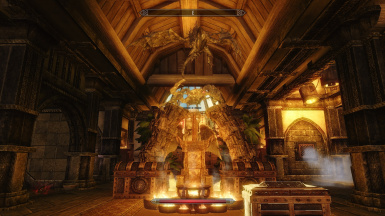 and have only got as far as the "Ark" i figured id give creating a house mod a try. The island Abode is an epic island filled with mystery and open isolation. You can see from the pictures how awesome this truly will become. 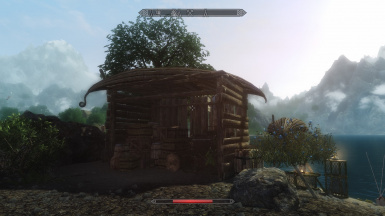 It's still currently a WIP V0.1 I have previously modded for Skyrim however i haven't released a single file yet However seeing how advanced and uniquely built Enderal is compared to Skyrimi figured id challenge myself to build something that i believe can improve your experience. Id like show you my progress. Located at Riverville across from the bay! *Categorized sorting chests & storage - Linked Storage Done, There are storage chest but limited will be fixed asap. *Walkway to the top of the mountain for the scenery! *Shared Storage chests used in the game themselves to connect your items to each major city & area. and i'll see if i can do my best to include the mod! I'm hoping to have a V1.0 release within a few weeks, however i'll be frequently adding in photos during my progress.